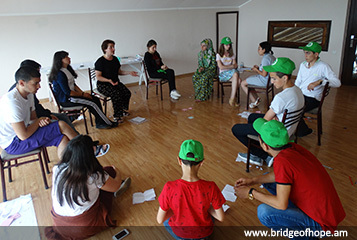 In the framework of the project “Speaking of Myself”, from 1 to 7 July, more than 80 children - beneficiaries of the Caucasus Network for Children member organizations - gathered at a summer camp in Kobuleti, Georgia. 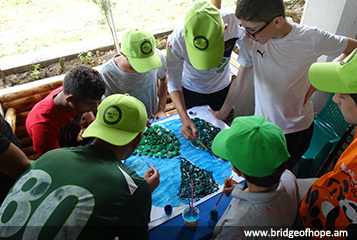 During the days entitled “Neptune Day”, “Intercultural Exchange Day”, “Earth Day”, “Tolerance Day” and “Day of Hope”, the children learned about journalism, social media, animation, psychology and human rights. Their days were also full of entertainment. The participants from Armenia, Georgia and Russian Federation (North Ossetia, Chechen Republic, Ingushetia) took their chances to present their cultures with national music and dances; they came together in team competitions and taught their languages to their new friends. 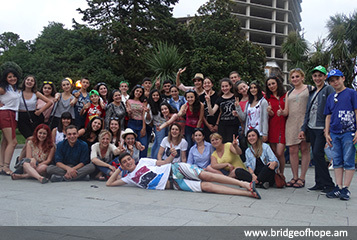 The children visited the dolphinarium, had a walk in the city of Batumi and spent one of the evenings at the amusement park called Tsitsinatela. The project is coordinated in Austria by Interkulturelles Zentrum. 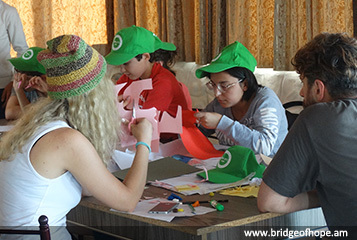 The coordinating organization in Armenia is "Bridge of Hope" NGO and the partner organization is “Orran” NGO. Partner organizations in Georgia are "Union Berillus", "Liberta" and "Biliki" NGOs. The project is funded by Austrian Development Agency.